(2012.201.B0271.0482, Oklahoma Publishing Company Photography Collection, OHS). Alma Bell Wilson, the first woman to serve on the Oklahoma Supreme Court and its first woman as chief justice, was born on May 25, 1917, in Pauls Valley, Oklahoma, to William R. and Anna Bell. Alma had a twin sister named Wilma. Their father was an abstractor and lawyer in Pauls Valley. Inspired by him, at age eight Alma knew that she wanted to practice law. After graduating as valedictorian from Pauls Valley High School, she attended Principia College in Elsah, Illinois. She continued her education at Oklahoma City University and graduated with a J.D. degree from the University of Oklahoma in 1941. In the 1940s only 2.4 percent of the nation's lawyers were women. She married Bill Wilson, a Pauls Valley attorney; they had one daughter, Lee Anne, who became an attorney in Oklahoma City. In 1982, one year after Sandra Day O'Connor became the first female appointed to the U.S. Supreme Court, Gov. George Nigh appointed Alma Wilson to the Oklahoma Supreme Court. At that time, women represented 5.4 percent of all federal judges and less than 5 percent of state court judges. From 1995 to 1997 Wilson served as chief justice. Wilson personified the woman who entered a male-dominated field and by diligent work garnered the respect of her peers. Her achievements have been recognized through many awards including induction into the Oklahoma Women's Hall of Fame (1983) and the Oklahoma Hall of Fame (1996). 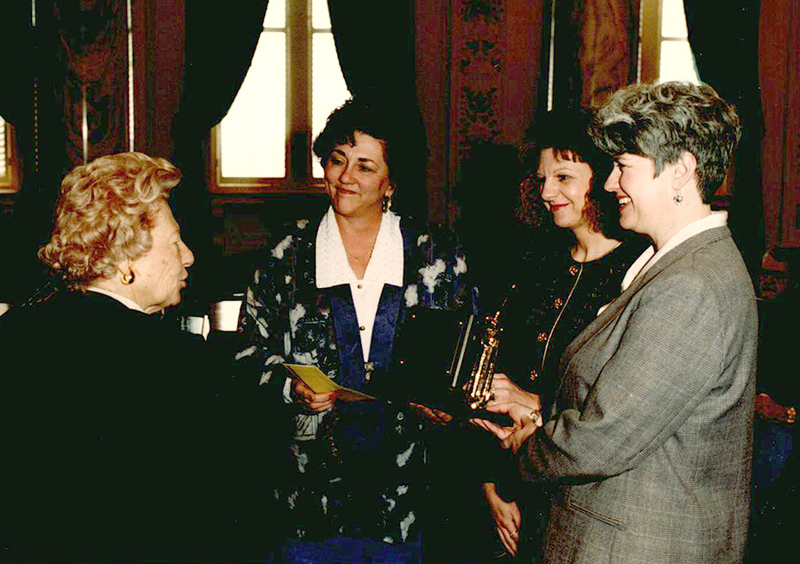 She was named Appellate Judge of the Year for 1986 and 1989. She died at her Oklahoma City home on July 27, 1999, after a brief illness. Daily Oklahoman (Oklahoma City), 5 January 1995, 28 and 29 July 1999. Cynthia Fuchs Epstein, Women in Law (New York: Basic Books, Inc., 1981). Norman (Oklahoma) Transcript, 17 February 1982. Pauls Valley (Oklahoma) Enterprise, 31 May 1917. "Alma Wilson," Vertical File, Research Division, Oklahoma Historical Society, Oklahoma City. Linda D. Wilson, "Wilson, Alma Bell," The Encyclopedia of Oklahoma History and Culture, https://www.okhistory.org/publications/enc/entry.php?entry=WI022.